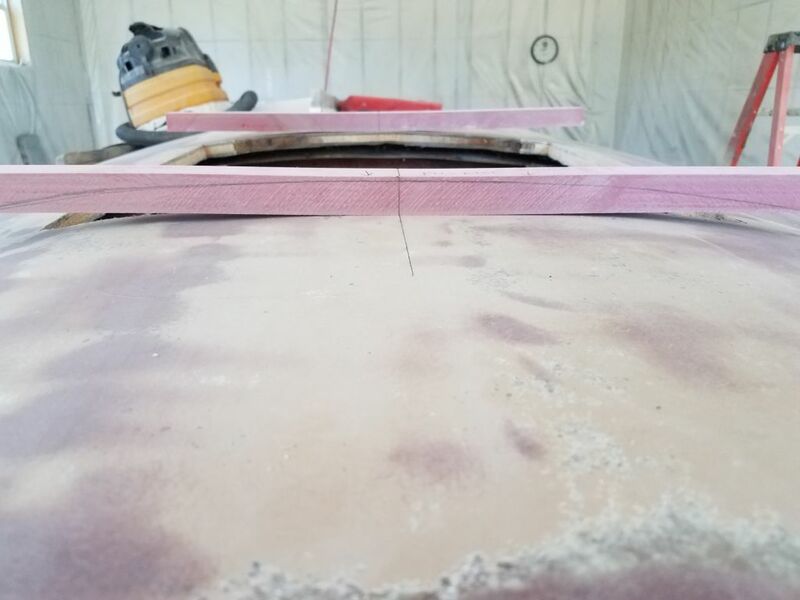 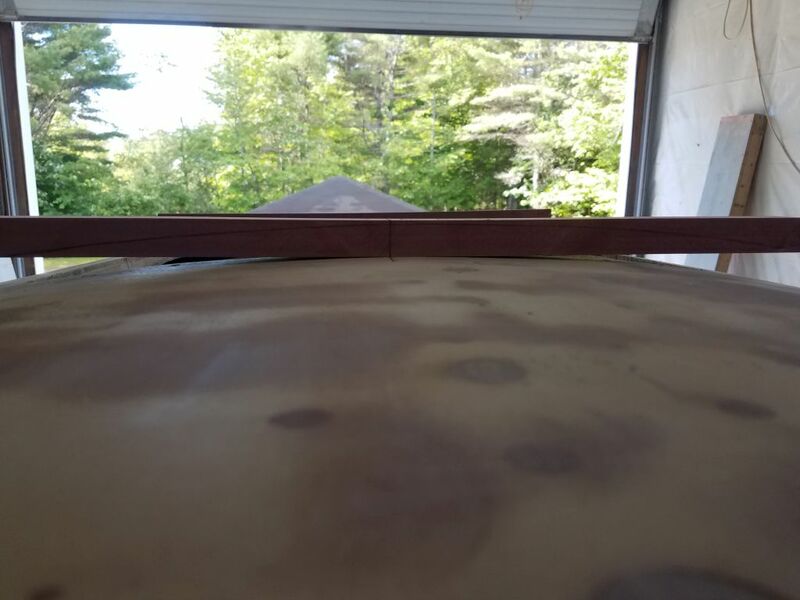 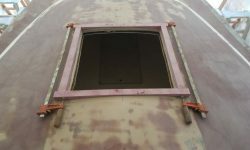 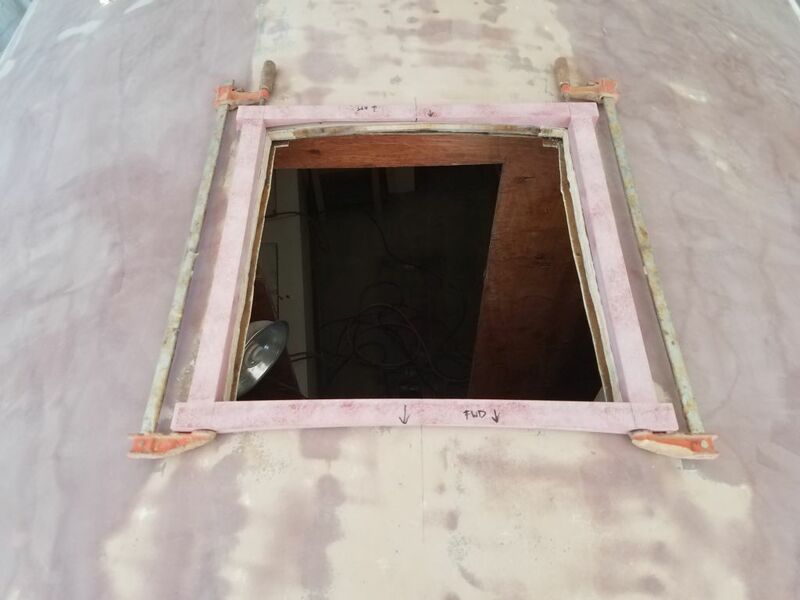 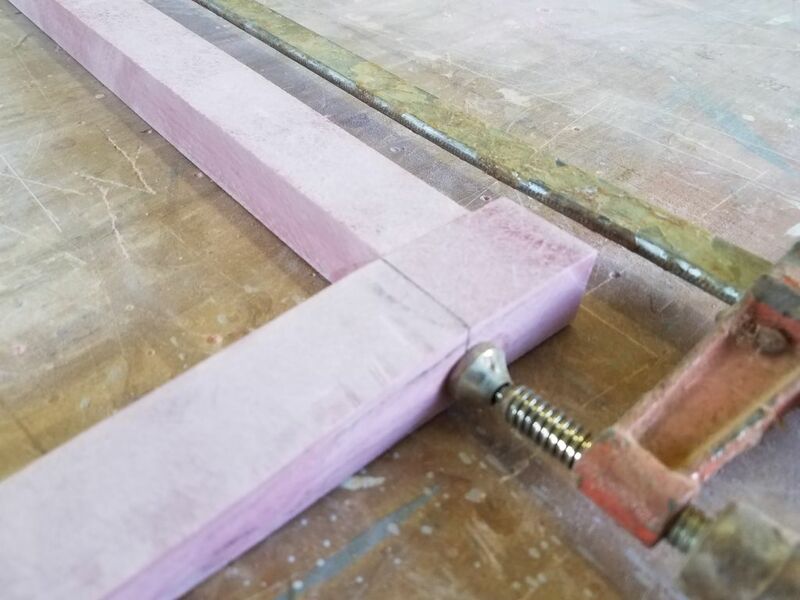 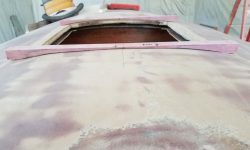 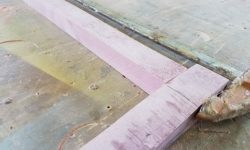 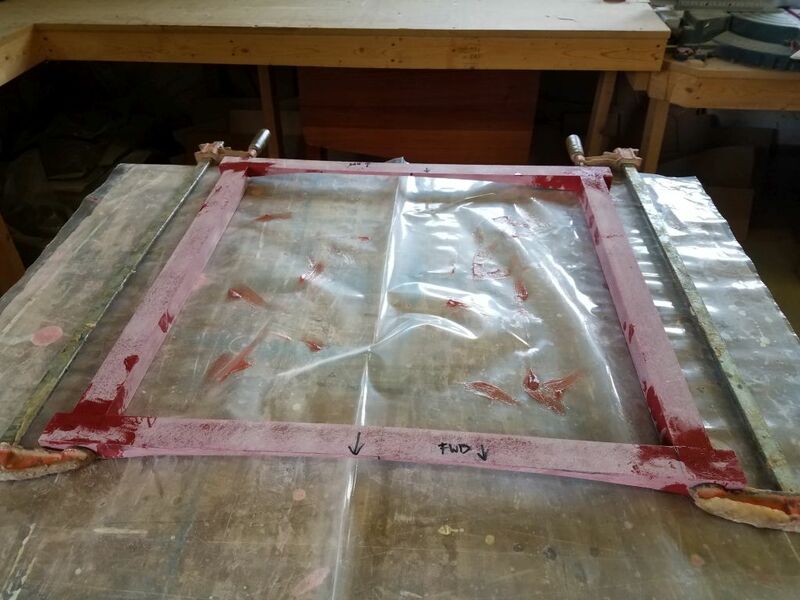 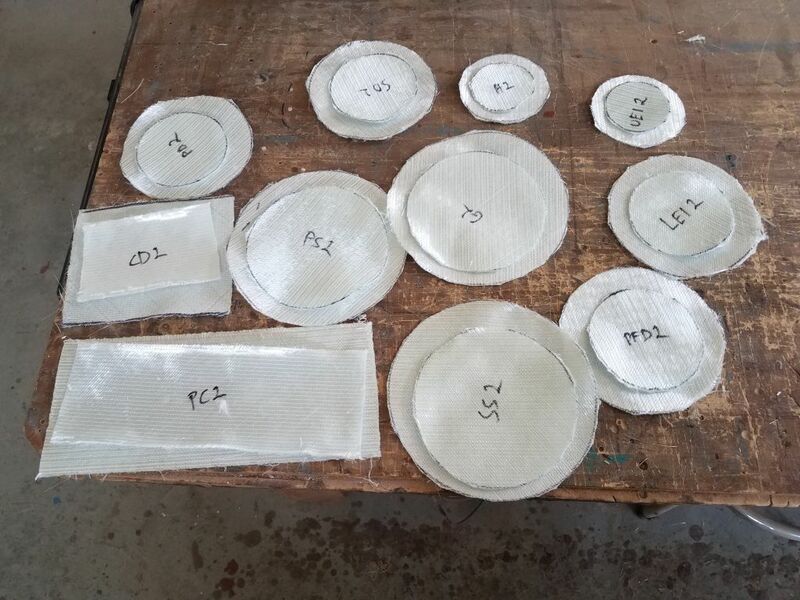 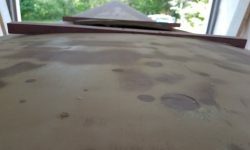 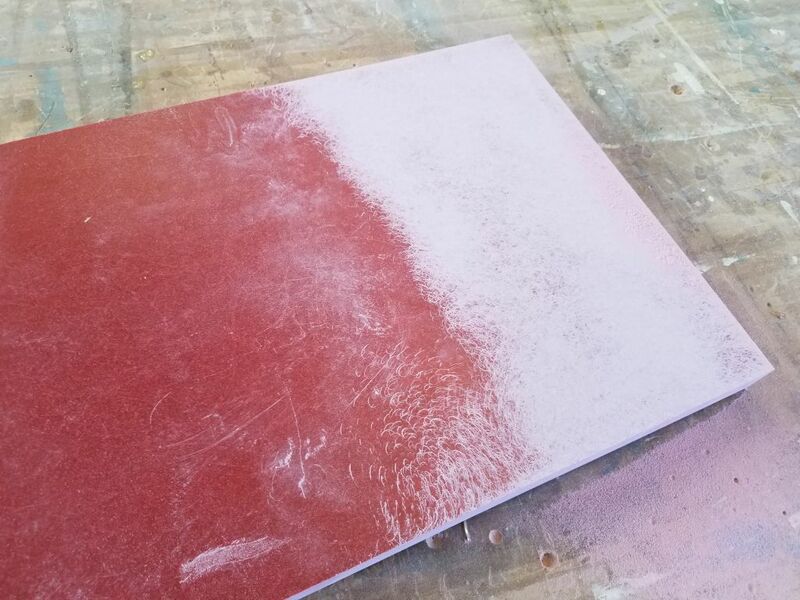 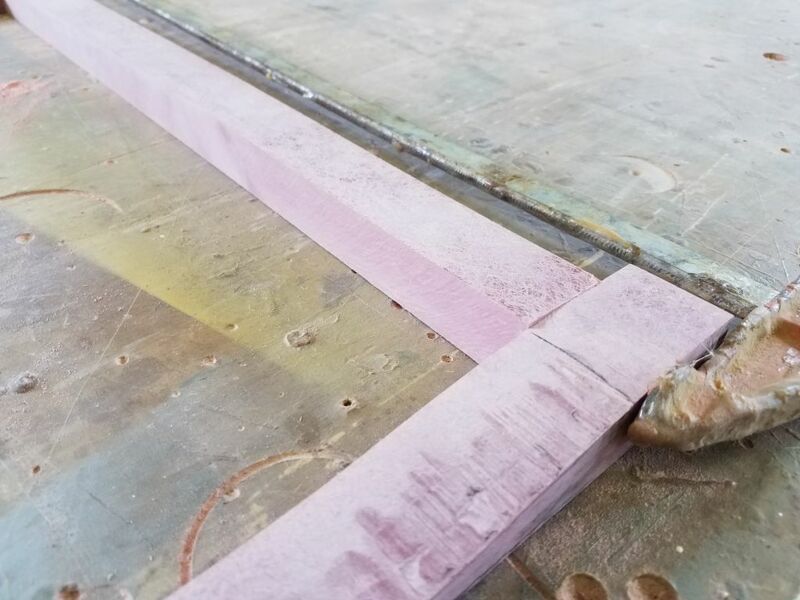 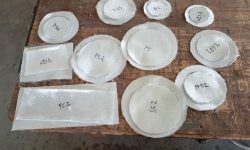 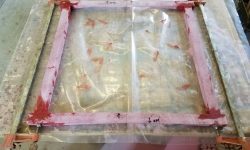 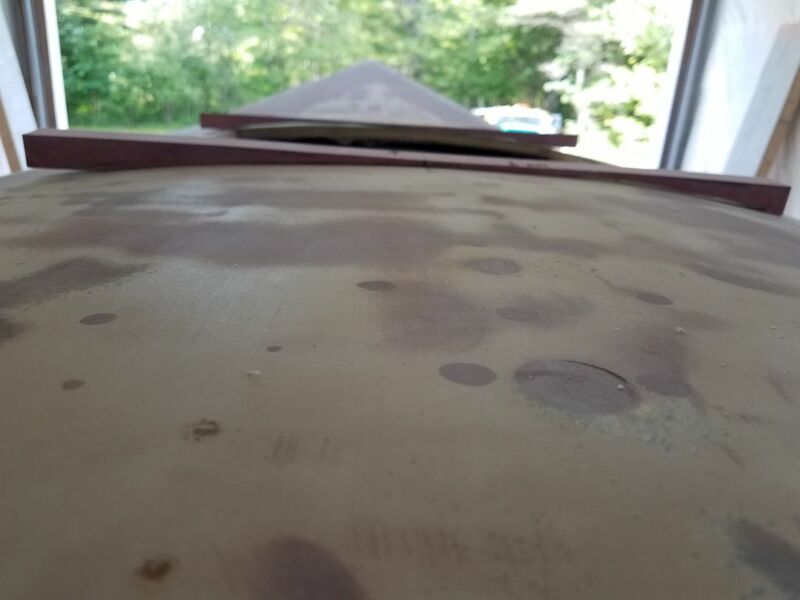 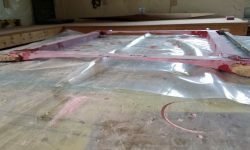 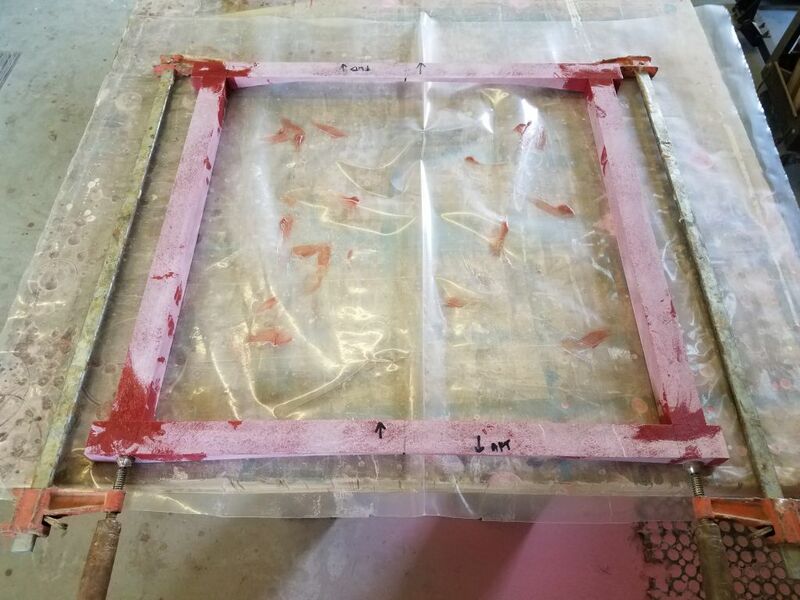 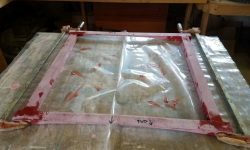 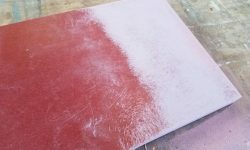 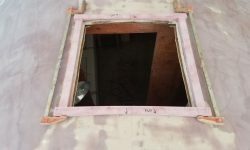 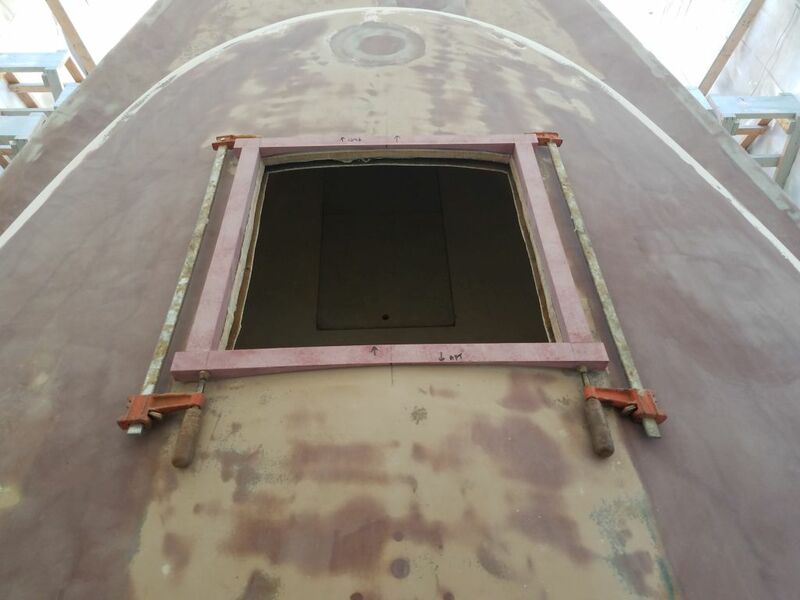 Now equipped with the raw materials I needed to continue with the forward hatch installation, I got started by preparing the 1″ thick fiberglass stock, sanding off the smooth factory finish and ripping four pieces 1-1/4″ wide. 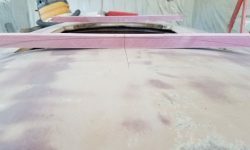 I took the forward and after pieces up to the deck so I could scribe the shape of the cabin trunk and shape the pieces accordingly. 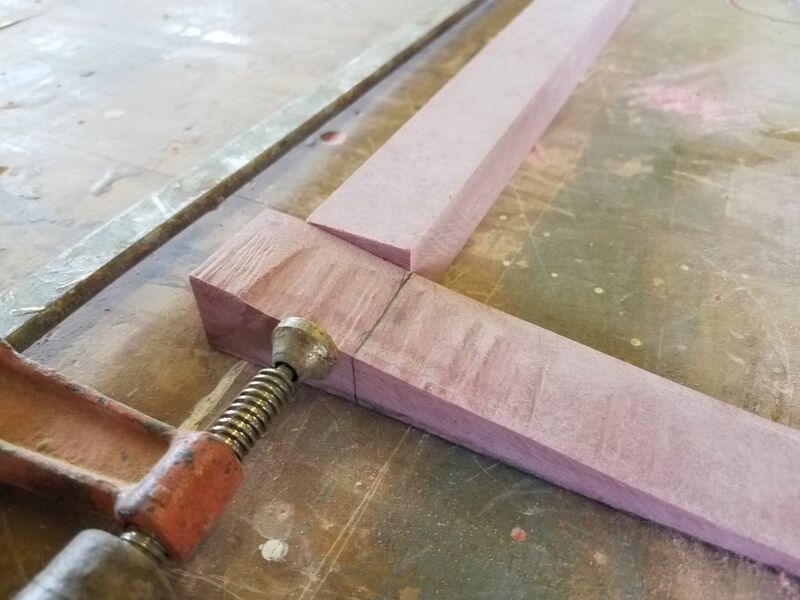 I cut the curves with a jigsaw and fine-tuned with a sander as needed. 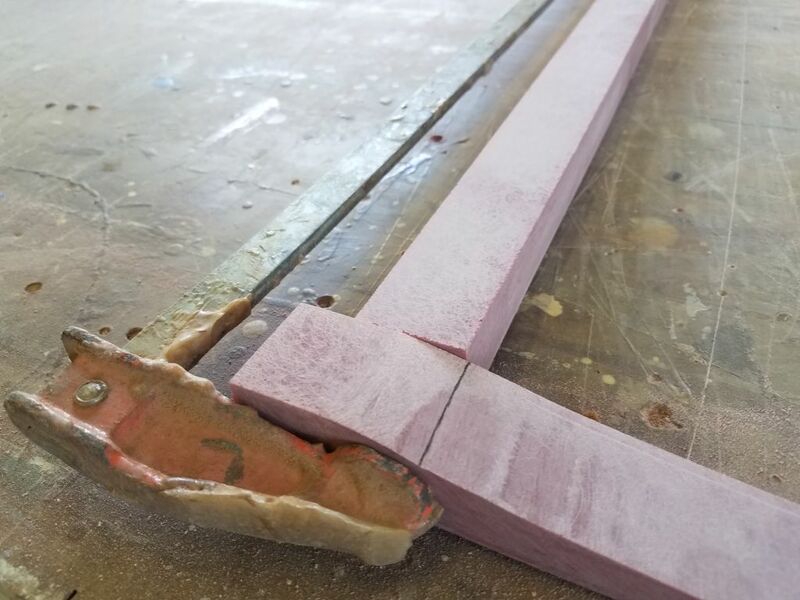 For now, I left the transverse pieces overlong for later trimming and additional fine-tuning later. 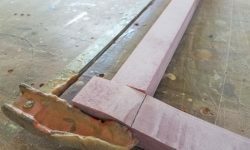 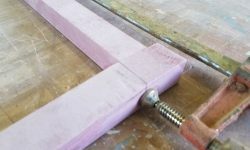 I measured for and cut the lengths of the two side pieces, which would require angled cuts or shaping on their bottom sides, but used nearly the full 1″ depth all around because of the substantial camber. 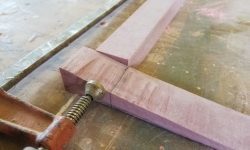 Looking at the dry-fit pieces, I decided there was little enough shaping required that it’d be easier to glue the parts together as is, and finish the minimal shaping once I had the square assembly all together. 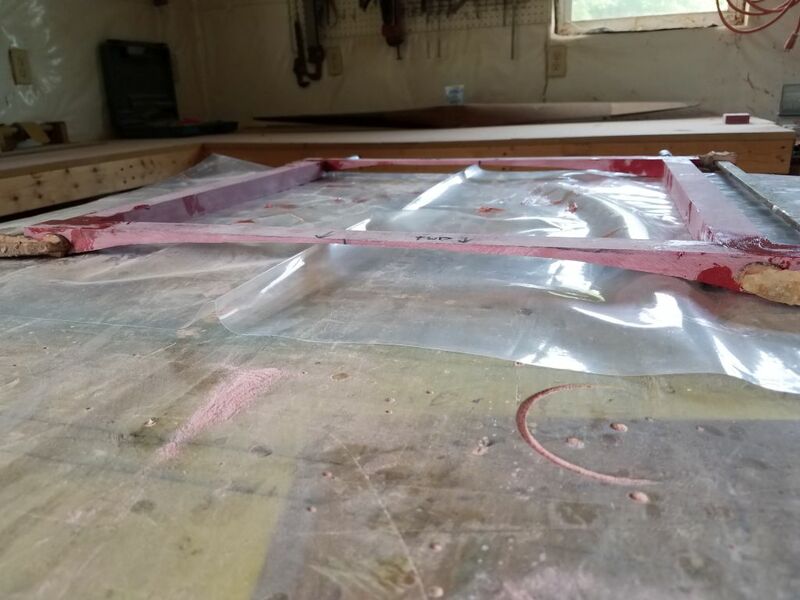 After final preparations, I glued the fiberglass frame with epoxy adhesive, leaving the transverse ends overlong for trimming once the epoxy cured. 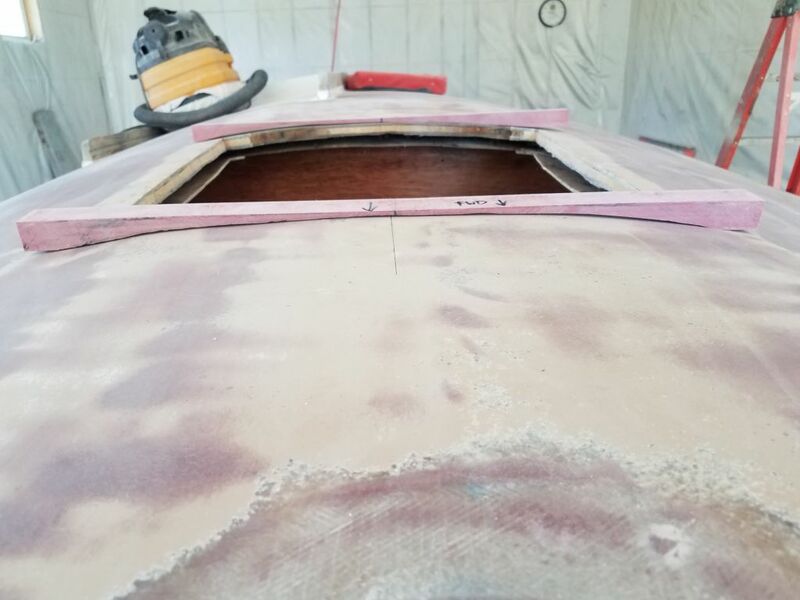 Later, preparing ahead for interior structural work whenever I had the opportunity, I pre-cut layers of fiberglass for the inside portion of the through hull repairs, the outside of which was complete in all 12 locations.